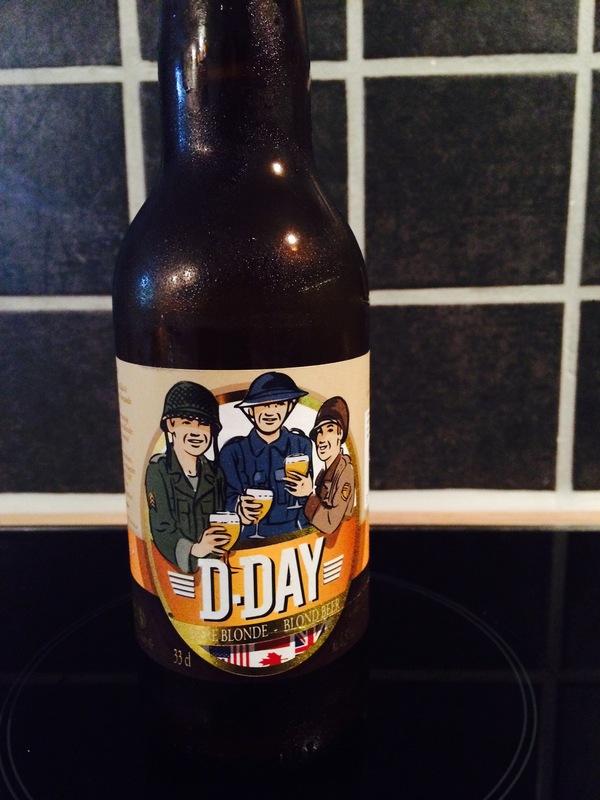 The French can also make beer – good beer! We all know France for its great wines, but I have to say, the craft brewing scene is also growing in France, with some great beers as result :-). I was in north of France end of July to visit some very good friends of mine and there my friends showed me in a local supermarket the beers they are producing in that region. The town was called Hardelot-sur-Plage, close to Boulogne-sur-Mer. And waw, what a super nice selection they had! The beers that immediately jumped out with their labels, were those from Brasserie des 2 Caps (http://www.2caps.fr/en/la-brasserie.html). This brewery is situated in the ‘Côte d’Opale’ in between the 2 cliffs called ‘Cap blanc nez’ and ‘Cap gris nez’, meaning the white and grey cliff respectively. It is a beautiful area with spectacular views, on a clear day even all the way to UK. The name is of course inspired by D-day, taking place at the coast nearby on the 6th of June 1944. A super nice tribute to this great day! Ik heb een paar maand geleden van een collega die in Rijsel woont ook een lekkere gekregen: Wambrechies, weliswaar met een snuifje genever in.